Provincetown is gearing up for an influx of women this July with two sun-soaked, women-centered events—Girl Splash and Bride Pride. With year-round, women-centered events and groups like the Women Innkeepers, Provincetown has always been a haven and hot spot for all women. Provincetown is gearing up for an influx of women this July with two sun-soaked, women-centered events—Girl Splash and Bride Pride. Girl Splash, which runs July 18-22, is geared toward a younger crowd. The annual, weeklong extravaganza packs the beach and bars with dance parties. In the midst of Girl Splash, Bride Pride returns to Provincetown on July 22 in an attempt to set a Guinness World Record for the Largest Lesbian Wedding and Renewal Ceremony. Now in its second year, Bride Pride brings visitors and residents of Provincetown together in a shared celebration of love and equality. 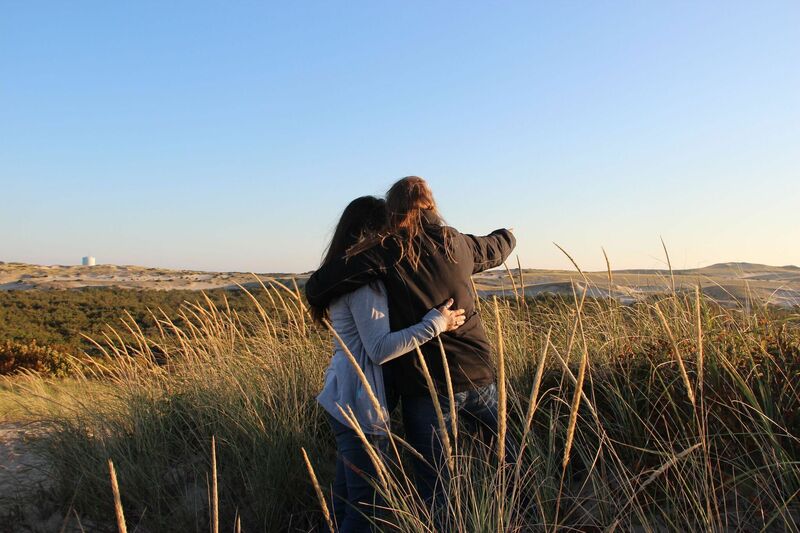 With year-round, women-centered events and groups like the Women Innkeepers, Provincetown has always been a haven and hot spot for all women. Girl Splash runs July 18-22 and features concerts, outdoor events, and lively parties from dawn to dusk. On Friday morning, spot a majestic humpback at the all women’s whale watch, then bust a gut later that evening at the hilarious Kate Clinton’s “Knock! Knock! Who’s There? Zombie Apocalypse” comedy show. Saturday’s jam-packed schedule includes innovative events like The Crawlenger—part pub-crawl, part scavenger hunt—and favorites like the sunset dune tour and the epic white party, which will close out Girl Splash. As Girl Splash winds down on Saturday, Bride Pride returns to Provincetown to set a Guinness World Record for the Largest Lesbian Wedding and Renewal Ceremony. The beautiful outdoor ceremony is a joyous declaration of love and equality, as the crowd gathers to watch the happy couples take their vows. The ceremony begins at 11:00 a.m. on July 22 at the Pilgrim Monument. Kate Clinton, the award-winning political humorist and LGBTQ icon, will perform the nuptials and the event will feature guest performances by Amy Bishop, Catie Curtis, and Suede. Following the ceremony, a celebratory parade will proceed down Commercial Street and Girl Splash events will serve as the reception. Launched in 2016 at Provincetown Women’s Week, Bride Pride is the creation of Allison Baldwin and Ilene Mitnick—spouses and co-owners of the Roux Bed and Breakfast in Provincetown. 106 women participated in Bride Pride last year, with 25 marriages and 28 vow renewals. To set a record for the world’s largest lesbian wedding, 100 couples must participate in the ceremony. A portion of the proceeds from Bride Pride will be donated to Cyndi Lauper’s True Colors Fund, which works to end homelessness among LGBTQ youth. While Bride Pride attendance is free and open to the public, you must register to participate. Register here: http://www.rouxprovincetown.com/registration.